Belle Center, Ohio (New Order Amish): Belle Center, Ohio is a sprawling New Order Amish settlement about an hour north of Dayton. A friend, who is a convert, lives in that community. It’s a gorgeous area in the spring and summer, with colorful riots of wildflowers, rolling hills, and buggies clattering down the road. The Belle Center church in Ohio is closely affiliated with the New Order Amish church in St. Ignatius, Montana. Church members there will travel by air to visit family and conduct business out east. The Belle Center, Ohio New Order Amish settlement is home to several interesting businesses among our favorites is The Country Variety Store and Bakery at 6263 Us Highway 68 N. One-room school houses and homes selling fresh eggs and in-season produce dot the quiet country roads of the Belle Center New Order community. One of the one-room Amish school houses is located at 4912 County Road 96, Belle Center, OH 43310. Please be respectful when visiting this settlement. The Amish here, like in most other areas, prefer not to be photographed. The New Order Amish are, despite the name, a subgrouping of Old Order Amish, which split away from other Old Order Amish church fellowships in the 1960s for a variety of reasons. These included a desire for “clean” youth courting standards, meaning they do not condone tobacco, alcohol, or the practice of bundiling, or non-sexually lying in bed together, during courtship. They also wished to incorporate more evangelical elements into the church, including Sunday school and mission work. In 1966, around one hundred families split with the Old Order Amish in Pennsylvania, and created two new congregations, and have since taken on the name “New Order Amish.” A separate movement developed in Ohio at around the same time. 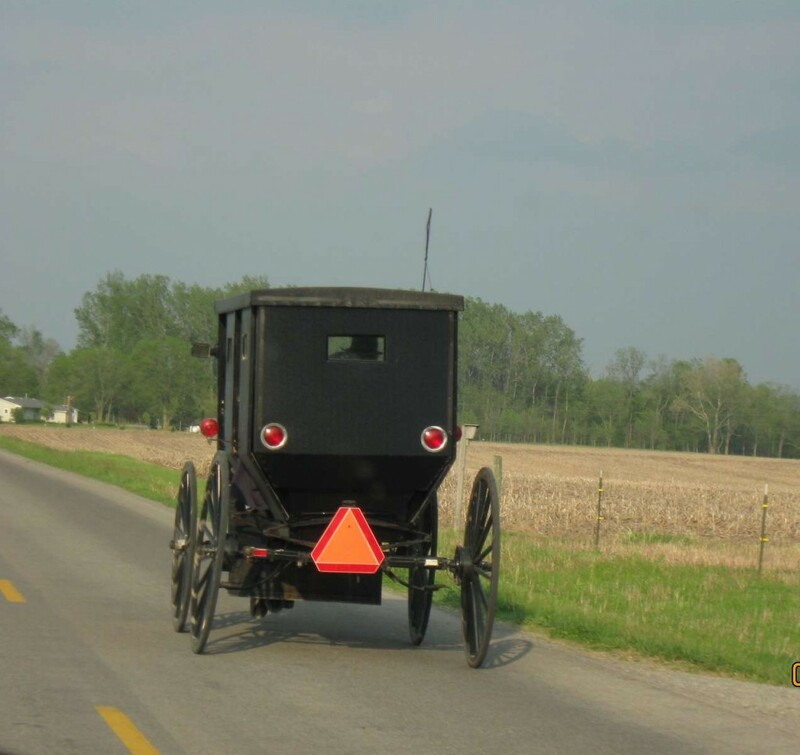 Like Old Order groups, New Order Amish use the horse-and-buggy, wear Plain clothing, speak the Pennsylvania German dialect, and practice home worship. As with other Amish, technological restrictions include prohibitions on media usage. Some New Order Amish allow electricity around the home, and some groups permit telephones in the home as well. New Order Amish may be more lenient in the practice of shunning and may be more permissive of photography than older-order groups. New Order Amish prohibit alcohol and tobacco use (seen in some Old Order groups), an important factor in the original division.